I had a few packets of nice string in my stash. I liked it because it was made in the UK but I wondered what I could do with it, I had been 'saving' it. I could have wrapped a present but then the person receiving the gift might not have admired UK manufacturing the way I do and simply thrown it in the bin! Therefore I made a blossom cluster for my jacket. We have had enough Spring days now for me to put my winter wool coat under its dust cover and give my denim jacket a seasonal shake. Ever tried crocheting with string? I made a shopping basket once and it was so heavy I could hardly lift it and my fingers were so sore from making it but a little project like this was a joy with this soft, light string. Mr Henry Winning, I love your 'exceptional twine' it was soft enough to crochet with. Stunning, love the colour. I made a wreath for my kitchen many moons ago using different shades of natural twine. Very nice and the cluster looks really good rather than just one single bloom. Such a fun idea. 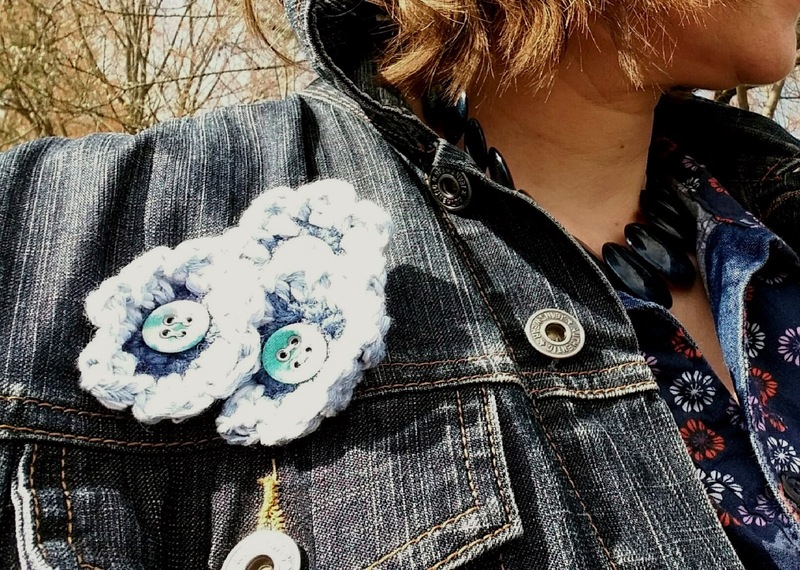 It looks great on your denim jacket! What a good idea. 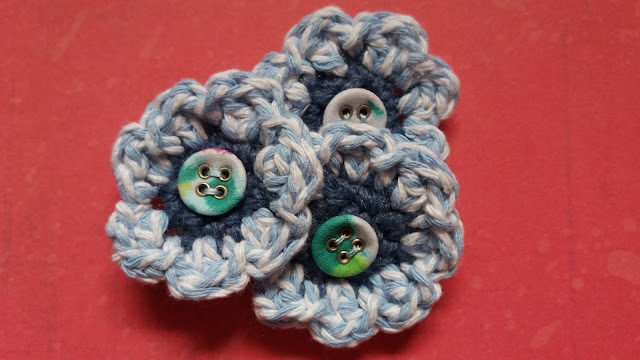 I love the button centres. You're right, people would throw it away if you tied it around a gift. Better to make something you can enjoy with it. I really like this idea. 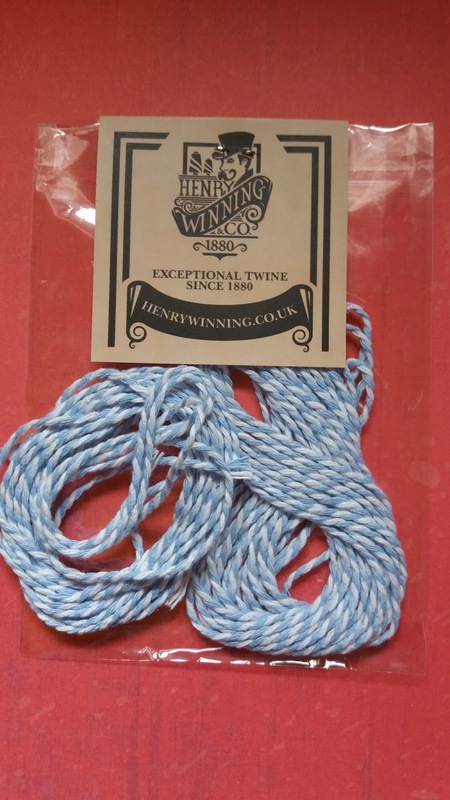 Your string reminds me of bakery twine, which was the BEST thing to play cat's cradle with. The flowers are very cute and I love the buttons, that was a very sweet touch. A good idea to embellish a garment. It makes it personal and on your jacket, very pretty. I like it. What a great idea! Have string, just need to crochet it!